Thickening agent, especially for recipes that need to be refrigerated or frozen. 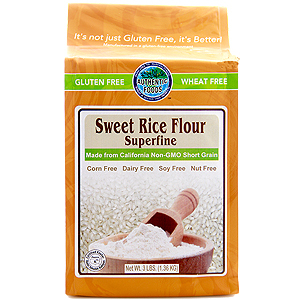 The Superfine Sweet Rice Flour helps liquids mix together better. Over low heat in a medium saucepan, melt butter or margarine in 1 1/2 cups of milk. Add the salt and pepper to the mixture while the butter or margarine is melting. 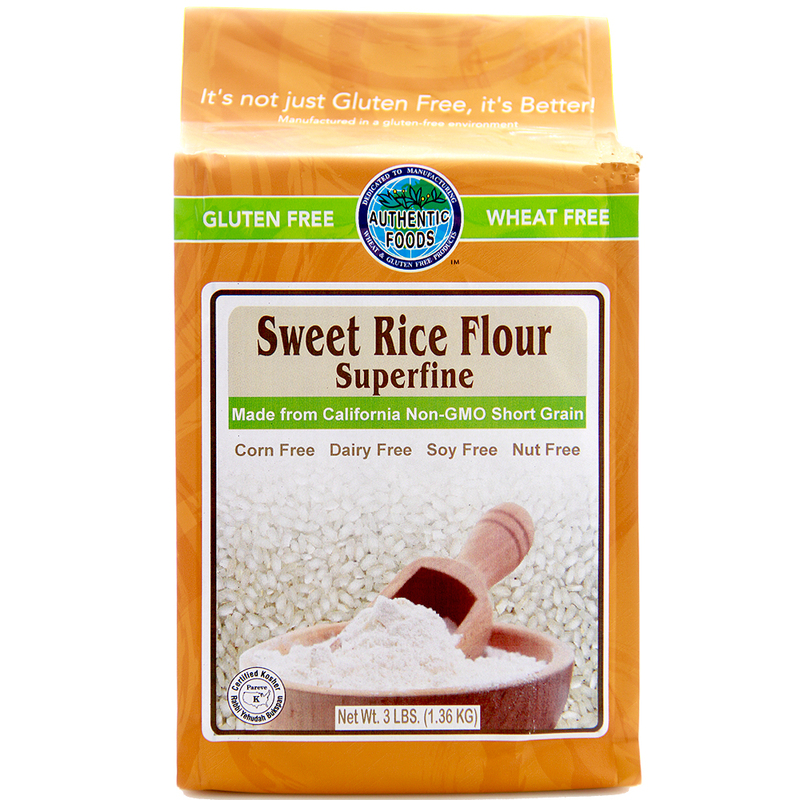 In a small cup, mix the Authentic Foods Superfine Sweet Rice Flour and 1/4 cup of milk. Slowly add this mixture to the saucepan. Stir over heat until thickened. Preheat oven to 350 degrees Fahrenheit. Grease a 13 x 9 x 2 inch pan. Peel, core and slice apples and place them in the pan. Put the remaining ingredients, except for the chopped pecans, into a food processor. Pulse until the mixture has a course crumb consistency. Sprinkle the top of the apples with the crumb mixture. Bake the apple crisp for 35 to 40 minutes or until the top begins to brown and apples are 3/4 of the way done. Sprinkle the pecan pieces on top and continue to bake another 7 to 10 minutes toasting the pecans. Remove and allow the apple crisp to cool slightly before serving. Add a scoop of ice cream or whip cream on top for an extra touch!